Yuto Watanabe, Takumi Kawaue, Takaki Miyata. 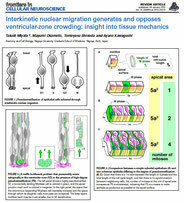 Differentiating cells mechanically limit progenitor cells’ interkinetic nuclear migration to secure apical cytogenesis. Development., dev.162883 (2018). After working as an otolaryngologist (Ear-Nose-Throat doctor) for two years, I decided to join the research field of Neural Development. Several years before this decision, i.e. when I was a medical student, I had already been interested in (and inspired by) the behaviors of cells undergoing their developmental processes in culture, which were shown by Dr. Masaharu Ogawa who was teaching physiology and also studying the “transdifferentiation” of adrenal chromaffin cells into neurons upon treatment with nerve growth factor (Nature 307, 66, 1984). Watching living cells as sincerely as possible, as if they were my patients, is the heart of my research style, which was established during my graduate school period (Develop. Growth & Differ. 36, 319, 1994). As a postdoc, I worked for the following two major projects: (1) Reelin. A Japanese research group that I belonged (Ogawa and Mikoshiba team) tried to identify a certain molecule missing in the reeler mouse mutant. We immunized adult reeler mice with homogenates of normal embryonic brain tissues, expecting that the immunized reeler mice might provide us a molecular probe (antibody) that would recognize a gene product playing important roles in the formation of the developing brain. That strategy nicely worked (Neuron 14, 899, 1995), and it soon turned out that our antibody indeed recognized the product of reelin that was cloned by Curran’s group in the same year (Nature 374, 719, 1995). I screened anti-Reelin hybridomas and carried out blocking experiments by applying anti-Reelin to a various kinds of three-dimensional culture systems (J. Neurosci. 17, 3599, 1997). (2) NeuroD. I worked under Dr. Jacqueline Lee who found that this bHLH factor is important for neuronal differentiation in Xenopus (Science 268, 836, 1995). 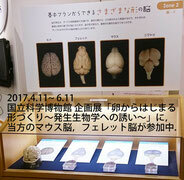 I analyzed the phenotype of neuroD-KO mice. These KO mice suffered from hyperglycemia due to failed differentiation of pancreatic b cells but this diabetic phenotype was rescued by putting neuroD under the control of insulin promoter. Using this pancreatic-rescued version of the neuroD-KO mice, I found that granule neurons in the developing cerebellar cortex and those in the hippocampal dendate gyrus are missing. The reason of absence of granule cells was turned out to be cell death (Genes & Dev. 13, 1647, 1999). Then, I have been working on neural progenitor cells. 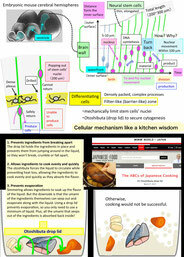 After making efforts to prospectively identify neural stem cells (Mol. Cell. 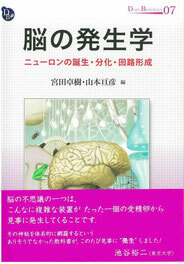 Neurosci. 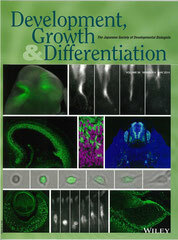 17, 259, 2001) in Dr. Hideyuki Okano’s lab, I moved to RIKEN BSI (reunited with Dr. Ogawa) and established a slice culture technique to observe 3D behaviors of neocortical progenitor cells. 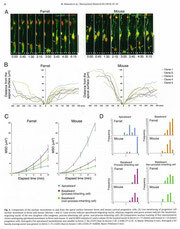 My report (Neuron 14, 899, 2001), together with very relevant reports including Dr. Kriegstein lab’s work (Nature 409, 714, 2001), evidenced that “radial glial cells” are proliferative and neurogenic, not a quiescent guidepost (for migratory neurons) as believed earlier. 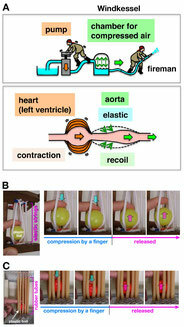 It also demonstrated that radial glial fibers can be inherited by neurons and used for neuronal migration. Slice culture is also useful to observe non-stem-like, intermediate progenitor cells dividing at non-surface positions in the developing cerebral wall (Development 131, 3133, 2004) and to carry out mechanical and pharmacological experiments (Curr. Biol. 17, 146, 2007). 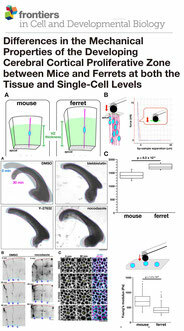 Based on visualization methods for single cells in slice culture, we now live monitor all cells in slice by using transgenic mice carrying reporters like H2B-mCherry or lyn-Venus. This new approach allows us to understand how neighboring cells interact physically and how interkinetic nuclear migration is controlled mechanically (Nat. 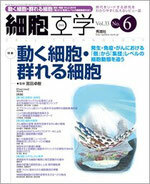 Neurosci. 2013).